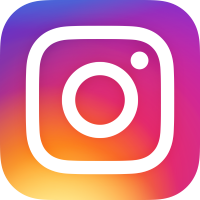 MetroWize maintains a selective advertiser and client base in order to deliver high quality email content to the urban connoisseur. In short, if it’s not interesting, we won’t send it out. 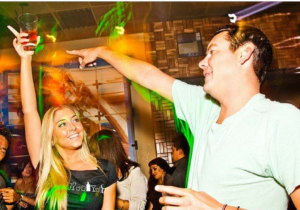 Since 2007 we have put on over 200 free private parties around the country at some of the country’s most highly regarded, nightclubs, bars, restaurants, breweries and live music venues. 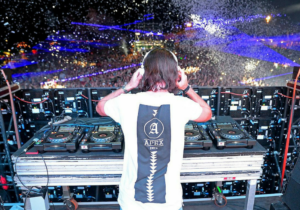 We’ve given away thousands of festival and concert tickets, and partnered with some of the biggest concert promoters nationwide. There are no fees or monthly subscriptions, we don’t spam or sell you out; we just send you cool things to do in your city. Over the last 9 years, we’ve quietly grown into a word-of-mouth community of over 100,000 people nationwide. Sign up now and keep an eye on your inbox! Most of our events are exclusively announced via email and fill up quickly! 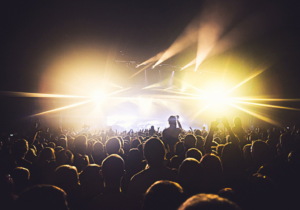 We give away tons of tickets to festivals around the country, local shows, and more! We love our email subscribers! Being on the MetroWize list gets you invites to private parties and events. Being on the MetroWize list means being in the know. We are dialed in to what’s going on in cities throughout the West Coast and beyond. ZOCALO, SAN FRANCISCO – this midtown Mexican restaurant serves up some of the best tequila cocktails in California, so it was a fitting location for our first tequila tasting event. Over 300 MetroWize subscribers sold out this invite only event, with food, drinks, music and tequila tastings. ANALOG, SAN DIEGO – Cutting lose in the Gaslamp District, we shut down the 1970’s themed recording studio and bar for a dance party of our own. We brought out the best in local San Diego DJ’s and created a custom cocktail menu for our invite only crew. DRAKE, SAN FRANCISCO – MetroWize took over this two level converted space, former home of Elizabeth Falkner’s ‘Orson’. It was a red carpet affair to be sure. 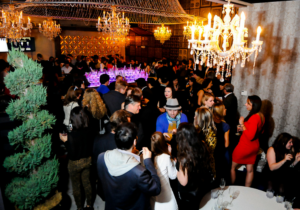 500 people packed the house for for our champagne launch party. 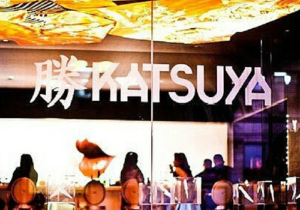 KATSUYA, HOLLYWOOD – Forty-five very lucky Los Angeles subscribers were sent an invite for a 5 star dinning experience at SBE’s flagship sushi restaurant in the heart of Hollywood. Together, we created a 5 course sushi dinner menu, complete with cocktail pairings from our favorite spirits. Amazing night out! PARK ULTRA LOUNGE, SACRAMENTO – It’s become an annual tradition at one of our favorite nightclubs in California. 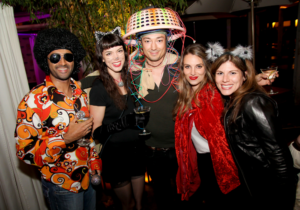 Three years running, MetroWize has taken over this 1500 person mega club for a Halloween pre-party that has become one of our favorite ‘invite only’ parties of the year. CALIFORNIA – At MetroWize, we love live music. We partnered with Live Nation for a summer long concert series in Los Angeles, San Francisco, and San Diego, bringing MetroWize subscribers to local Happy Hour events, then hopping on a party bus headed for concerts in town. It was an epic summer, more shows coming up! GULF SHORES, ALABAMA – In the interest of spreading our nationwide love for summer music festivals and travel, we have a grip of tickets to giveaway to our faithful subscribers. 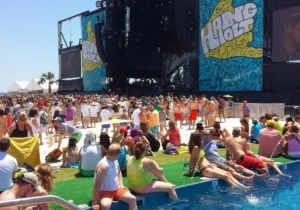 We’ve always been big fans of Hangout Music Festival and the people that run it. Subscribe to MetroWize and you may be headed to Sweet Home Alabama this spring with us! NORTH COAST MUSIC FESTIVAL, CHICAGO – MetroWize reach stretches nationwide. With the opening of our second office in Minneapolis, look for many more festivals like our partners at the North Coast Music Festival to be added to our roster of music festival give aways. Sign up for a chance to win! PUBLIC WORKS, SAN FRANCISCO – We brought Mark Farina to Public Works and packed the house. 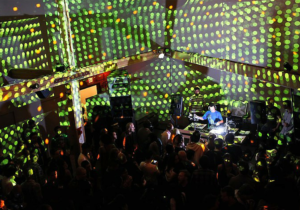 The Bay Area legend and founder of the Mushroom Jazz house label kept the party going till sunrise. As always, free for MetroWize subscribers. 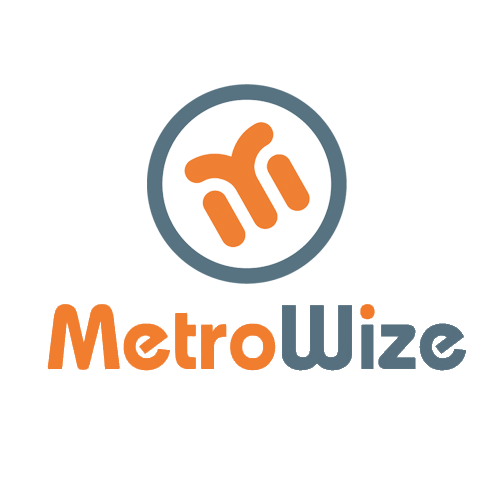 MetroWize offers city wisdom and exclusive deals to social people living in, or traveling to major cities.